Handmade unique ceramics in Nancy Nicholson's Caribbean home. Photo by Jennie Ritchie. 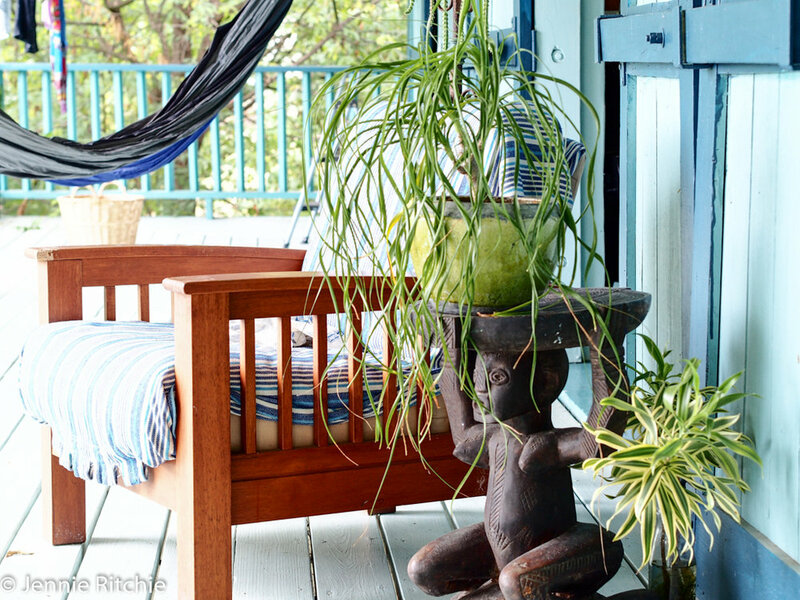 Nancy Nicholson's eclectic and elegant Caribbean home. Photo by Jennie Ritchie. 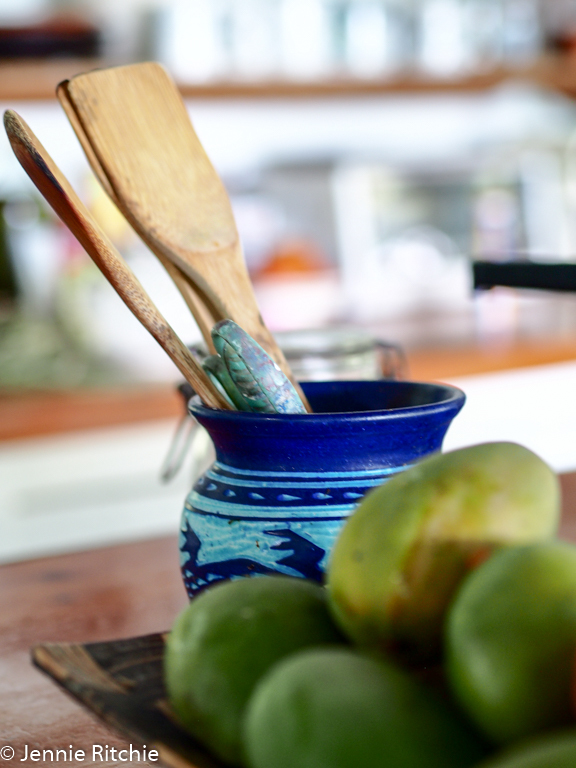 Nancy Nicholson handmade ceramics in her Caribbean home. Photo by Jennie Ritchie. Caribbean style, comfortable and natural. Photo by Jennie Ritchie. Rhythm of Blue through the home of Nancy Nicholson. Photo by Jennie Ritchie. Blue handmade rope mat at the home of Nancy Nicholson. Photo by Jennie Ritchie. We met Nancy Nicholson at her studio earlier to look at the process behind her renowned pottery and art designs. Today I am excited to show you inside her Antiguan home which is brimming with light and expansive ocean views! The Rhythm of Blue runs through Nancy's business and her beautiful Caribbean home where nature and art collide in perfect harmony. Nancy's own designs decorate her home that is situated with an extraordinary panoramic view of English Harbour. Blue and white abound with nature in the form of plants and the ubiquitous Antiguan wildlife. This is inside-outside living at it's best. Nancy's style harmonises effortlessly with the exterior environment. Casual comfort with a pleasing aesthetic lend this home to contemplation and relaxation. The house itself is surrounded by lush vegetation overlooking a turquoise sea. Nancy's studio where she creates her ceramics and designs nestles underneath the house. This house is functional and stylistic with overall minimalism in design and colour. It feels natural to be here. Homely and welcoming yet carefully considered.